We are a team of 15 young people based in Northern Ireland, formed through the National Citizen Service program powered by Belfast YMCA. We have participated in teambuilding activities, outdoor pursuits weekends and skills based learning programs to prepare us for the final stage. 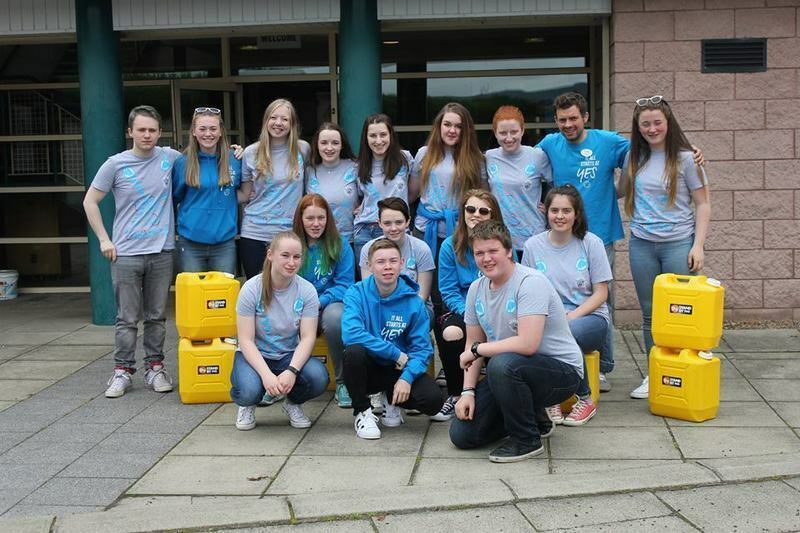 To conclude our NCS experience we are planning and carrying out a social action project to help others. For our social action project we have collectively decided to prepare and complete a sponsored walk to replicate the journey of many children across the world in LEDCs (Less Economically Developed Countries). For many children, collecting water is their life focus, some even have to forfeit school to do this hard task and more often than not it is disease ridden and unsafe to drink. We aim to raise awareness of this issue as well as collect money for our chosen charity: Stand By Me in order to support their work across the world. The charity is based on relationships which ensures that the needs of the children are met. Our goal is to make a difference but we can’t do it alone and that’s why we need YOUR help.